Interest in cycling is booming thanks to the unprecedented success of British riders in the Tour de France over the last six years. At BetStars, our writers are on hand to provide customers interested in betting on the greatest of Grand Tours with analysis and tips in our in-depth previews before the start and during the three-week race to ensure your cycling betting strategy doesn’t get stuck in the peloton. Geraint Thomas defends his Tour de France title this summer when Brussels will host the Grand Depart in memory of Belgian great Eddy Merckx, whose first victory took place 50 years ago. 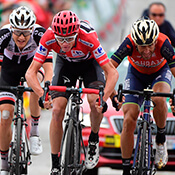 Thomas is second favourite in the Tour de France odds behind Team Sky colleague Chris Froome who has won the race in four of the last six years.